Kenny K Men's Rush Straw Lightweight Safari Hat with Chin Cord. 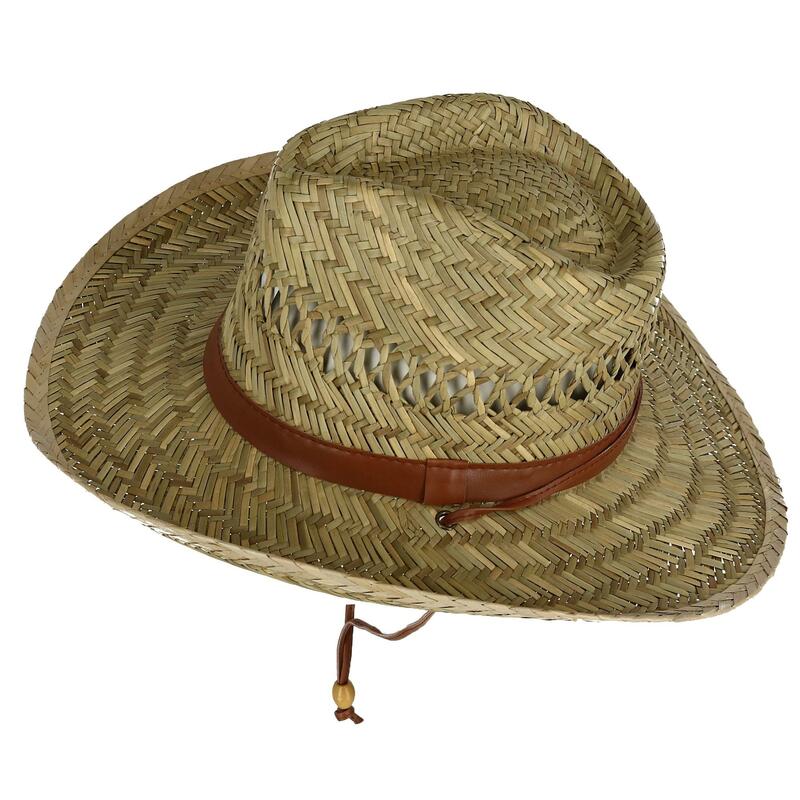 This safari hat is vented to provide ultimate breathability and has an adjustable chin cord. There is an interior sweatband for comfort and a 4-inch crown. The 3.5-inch brim helps protect you from the sun and is also lightweight. Walmart marketplace seller BeltOutlet specializes in sale-priced clothing and travel accessories for men, women and children. We carry quality belts, wallets, headwear, cold weather accessories including Novelty Hats for Men. Many items have reduced or rollback prices and most orders ship within one business day.